It’s easy to say you’re going to work out. It’s much more difficult to actually make it happen. Failed workout plans add up and eventually you give up. That New Year’s Resolution, despite your best intentions, is a bust. 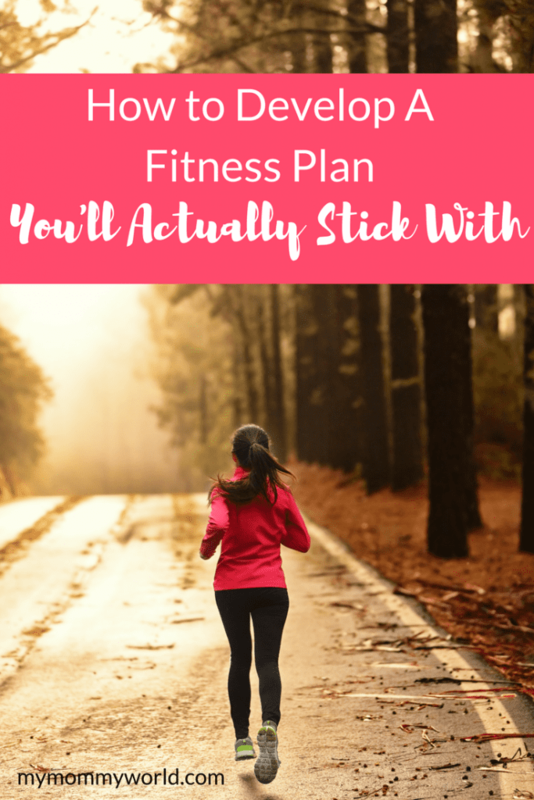 Here’s how to develop a realistic fitness plan you will stick with. Make a list of the fun activities you enjoy or might enjoy. Look around your community for opportunities to explore or add these activities to your day. For example, the community centers in my town offer classes for a small fee…it’s a good way to exercise and meet your neighbors. The best way to make fitness a habit is to approach it realistically. Trying to exercise for an hour each day when you’ve never exercised before may be a bit too much. Instead, try to exercise for ten or fifteen minutes a day. Or if you’ve signed up for a class, then fit that class into your schedule once or twice a week. The other days, exercise for ten or fifteen minutes. Making exercise a daily habit makes it much easier to embrace permanently. If you have small children, you might find that you have to get up extra early to fit in a workout. You might also be able to fit it in during naptime or after they go to bed at night. Taking them out for walks in the stroller is also a great way to exercise and give your kids some fresh air and a change of scenery. Sometimes it’s easier to stick with a plan if you have something to celebrate. For example, after a week of successfully working out each day you might reward yourself at the end of the week. Find a reward that’s motivating and still supports your overall fitness goals. For example, you can get a massage at the end of the week. You might purchase a new fitness outfit. When you can see what you’ve accomplished it can be extremely motivating. You’ll be able to see the progress you’ve made. Track the workouts you’ve accomplished. Track the weight you’ve lost. Consider tracking your feelings about each workout too. For example, was it easy or hard? What level of exertion did you feel? How did you feel the next day or after the workout? Developing a realistic fitness plan is about managing your expectations. It’s about finding something you enjoy. Track and celebrate your success. Acknowledge that every day may not be perfect or successful but over time you can and will succeed. To your success! Awesome tips! Can’t wait to share! I think I would also add be flexible- be willing to ditch something that’s not working and try something different! I struggled through a workout DVD that was 45 minutes to an hour long. As a mom of two, it was too long! I changed and went running for 30 minutes or found a DVD that was higher intensity but shorter. If you hate it, you’re not a failure! Try something else. That’s so true Caitlin! It’s so important to find something that you actually like. And just because a friend really likes running, but you hate it, it doesn’t mean that you have to like it too…we all have different likes and abilities! I love the encouragement to have an exercise routine that’s realistic, Erin. I know that I can realistically walk on the treadmill each week, so that is what I do. I love using exercise videos, especially when there is an upbeat teacher that is good at cueing the moves. Let me know how you like it after you try it! I love these tips. I know I get exercise by doing the yard work and in the fall and winter there is always plenty of leaves to pick up in the yard. But I also find a few minutes here and there to get a little exercise in too. I find that if I try to carve out a half an hour or a full hour at a time, it just doesn’t happen but if I take the time to do 5-10 minutes here and there I get so much more exercise in.